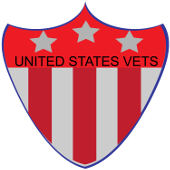 Women Veteran Initiative - US Vets Inc. The women veterans community is rapidly growing and the organization’s mission is to serve as advocates to all veterans, men and women. We have taken the steps to welcome the women veteran community to discuss their needs, dilemmas and successes with fellow women vets. Make sure to check out the newsletter especially for our women veterans here. Our vision is to advocate and provide this elite community with the assistance they deserve, and serve them as they have so bravely served this country with honor.